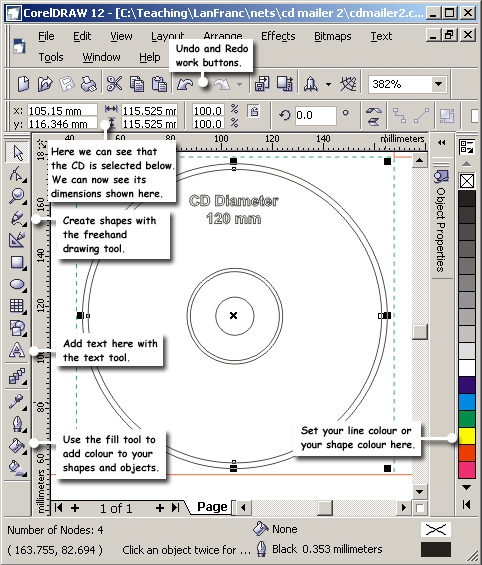 Design and technology: Learn about Corel Draw and Vectors. 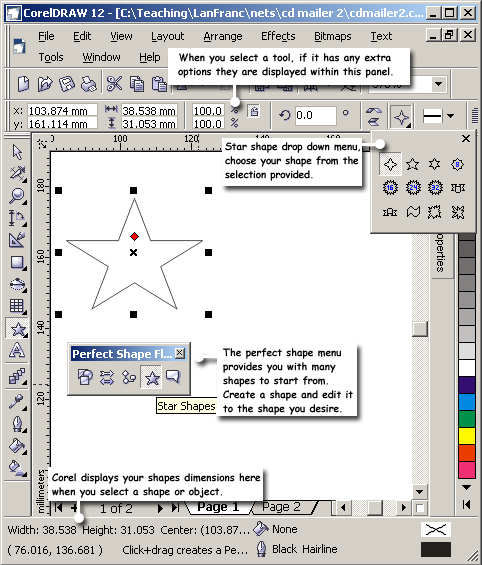 Corel Draw is a PC-based graphic design vector drawing program. You can use Corel Draw to tackle a wide variety of projects - from Illustration and logo creation to Web graphics or multi-page marketing brochures, or eye-catching signs. You can also Draw shapes, work with text, add colour and effects, Corel Draw is a very flexible vector and graphic package. You can do many things in Corel Draw. You can create basic shapes and lines to complex ones which are used to create vector illustrations, logos, clipart, etc. You can also import images and trace them to form vectored files. When a file is vectored you can also print it on a laser cutter out of card, wood, or plastic (note: you cannot do this with an image). There are two basic types of graphic files: Images and Vectors. Images are constructed from a series of pixels, or tiny squares. Each pixel contains a unique colour and together they make up the image. Vector images however have no pixels. They are displayed or printed by using mathematical positioning. A vector image breaks down into a mathematical formula and contains messages like, draw a rectangle, this size and at this place on the page. A vector image looks like an illustration. Vector files are usually considerably smaller than a image files of the same image, since there is less information required to achieve the same results. Images however lose quality if they are scaled to a larger size. Basically when blown up the pixels just get bigger. With vector images things are different the vector contains mathematical points that map the shapes of the vectors. So vectors have no quality loss and no file size increase. Note: you will rarely see an image used as a logo as when they are blown up they lose quality, most logos are vector drawings. Take a look at the screenshots below to get an overview of some of the basic tools. Remember if you don’t know what a tool is rollover it and a small tag will appear saying what the tool does! Or try out the Corel Draw FREE tutorials! 2). 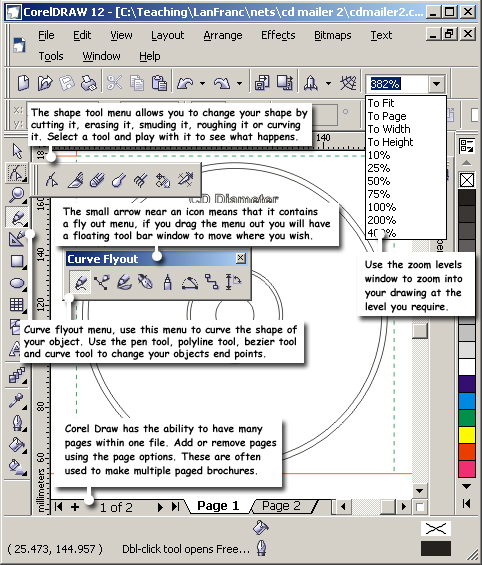 What type of projects is CorelDraw used to do? 3). What is a vector? 4). What is the difference between images and vectors when they are enlarged? 5). Why are vector files smaller in size than image files? 6.) On tool screen 1 how do you add text? 7.) On tool screen 2 how do you zoom in? 8.) On tool screen 3 how do you see a shapes dimensions?